Situated in the southwest corner of the Otago region, Lake Wakatipu is famous for its simply breath-taking beauty and stunning surrounds. Taking out the title of New Zealand’s third largest lake, coming in behind Lake Taupo in the North Island, and Lake Te Anau near the Fiordland National Park, Lake Wakatipu offers the ideal destination for water sports enthusiasts, adventure seekers, nature lovers, walkers and mountain bikers. 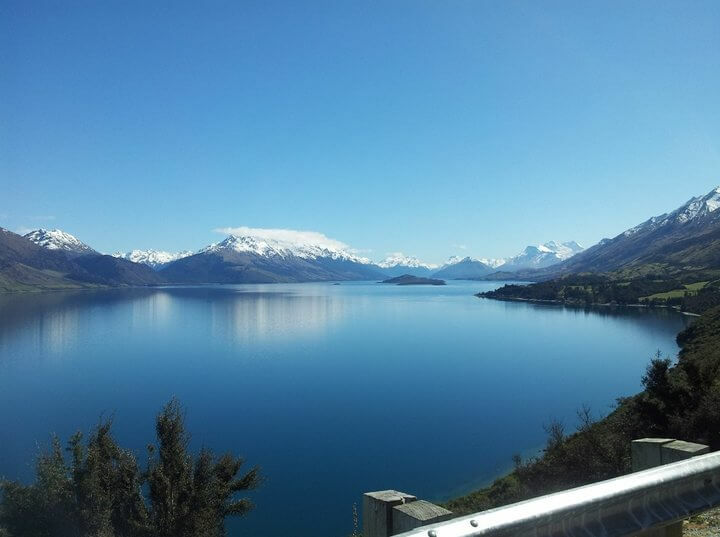 Lake Wakatipu is also immensely popular in the summer months with swimmers, kayakers and those keen on fishing and exploring the Lake by boat. The Lake has also featured as a significant backdrop in several well-known movies (most recently the Lord of the Rings). ‘Wakatipu’ is a word that comes from the local Maori language meaning ‘Hollow of the Demon’. An unusual name for a lake you might think but perhaps it had something to do with the fact that the lake itself has an unusual rhythmic rise and fall in its water levels. According to Maori legend this phenomenon is due to the demise of an awful giant who threatened the life of the local Chief’s daughter. It is said that the Chief promised anyone who could rescue his daughter could then marry her. Matakauri, a commoner who had already been denied her hand in marriage decided to cease the opportunity and not only rescued the Chief’s daughter but later set fire to the giant who’s burning body left a gaping hole that then filled with water – forming the Lake. The giants head is said to be at the Glenorchy end with its still beating heart under Pigeon Island located near the top half of the lake and it’s this ever beating heart that causes the lake to rise and fall. Lake Wakatipu has a distinctive zig-zag shape often compared to a lightning bolt. The Lake is approximately 80 km long and 380 metres deep. Lake Wakatipu’s lowest point sits below sea level. The Lake was formed over 15,000 years ago by a glacier. Lake Wakatipu is very narrow, only 5 km across at its widest point. Mount Earnslaw is situated near the head of the Lake. The Lake is surrounded by mountain ranges on all sides. Lake Wakatipu experiences an unusual rhythmical rise and fall imitating a tidal flow. Scientists believe change in water levels is due to atmospheric conditions and the shape of the lake. Want to check out this fascinating lake and its beautiful surrounds? 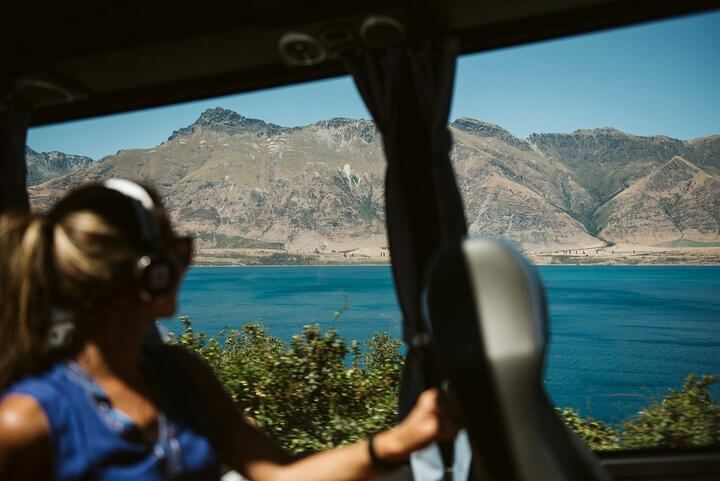 A guided tour is the best way to get the most out of visiting Lake Wakatipu. Learn about its colorful history, Maori legend and get insider knowledge on the best spot for that perfect photo.